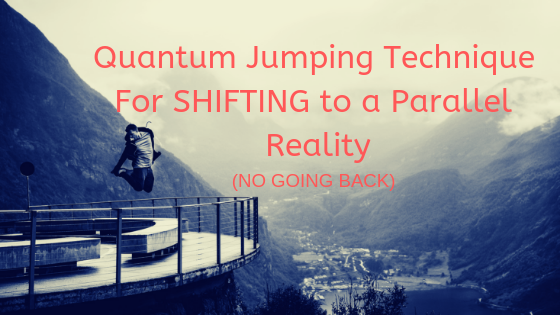 I'm going to be sharing with you a quantum jumping technique for shifting to the parallel reality that you prefer. I'm going to share with you exactly how to apply it so that you start to shift to the reality of who you really are. Today, I'm going to be sharing with you that quantum jumping technique that will help you to start to create what you want easier than ever. One could say that this goes beyond that of just the Law of Attraction. There is an infinite number of parallel realities that exist, and because these parallel realities already exist, we don't, under the conventional way of understanding the Law of Attraction, have to attract something to us because we're here and that's over here. We don't have to attract that from over here to over here in our life. These individual little frames that would keep ongoing would be separate individual parallel realities that I could then look at and see that there is some degree of variation between each in each one. Here's the thing. We have this experience of memory and we're able to glue and kind of tether all of these parallel realities together in our consciousness. It looks like one fluid movement, so it's like one fluid movement, but in reality, it's shifting through billions of parallel realities per second. That is the nature of our reality. We are shifting constantly whether we are aware of it or not. The question is not how do we jump from one reality to another because we're constantly doing that. Whether we're aware of it or not. The question is how do we create a quantum difference? How do we create a greater degree of change from where I am right now to some ideal reality that I want to experience? That's the technique I'm going to share with you in today's blog. That's something I think is so powerful because then it gives us more permission to live from the end right now. Many times, in our life we have a story that we tell ourselves. We have a certain story, a certain narrative in our mind, and our story subconsciously is controlling our life and it's controlling the direction of the parallel realities we shift to. We may have stories of this is the kind of person I am. This is the kind of way people treat me. This is the kind of way that I act and health like with my health and how I eat. This is the kind of way that I am with a relationship is the kind of way I am with my finances. We have a story that we tell ourselves based on prior experiences based on the parallel realities that we've been in that we attached to subconsciously. The key to this is to start to tap into new data streams. Think of every parallel reality as a separate data stream and when we focus on the story that we're telling ourselves, even subconsciously, we are pulling from data streams that may not actually serve us. We may say, okay, I want to attract a relationship into my life and I want to shift to a reality where there's a great relationship. 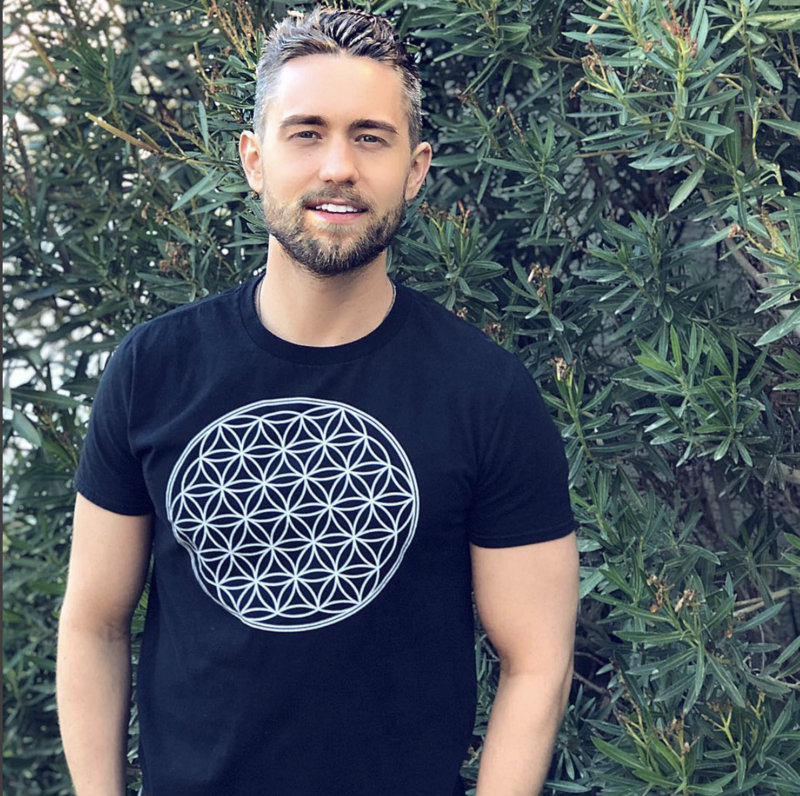 But if we have a story about how we are worthy and we're not worthy of that, and if we have a story of how relationship has gone in the past, then what we do is we pull in the present moment or pulling upon those other parallel realities and we're then creating a similar pattern in our daily life. Think of parallel realities as well as patterns. This is something that quantum physics has shown is when you look into the past looking for a certain pattern, you will find it and in the present moment right now, what if you could also look into the past and find the opposite of something that you previously saw as a disadvantage. For example, you may say, Oh, I'm an awkward person. Maybe somebody feels like they're an awkward person. They look to their past. They see all these situations in their mind that they blow up in their mind of them being awkward. Just one time they went to work and I said this weird thing and everyone looked at them funny this one time they had to give. They had to do something at school for a group project and they did something and it was weird and people thought it was awkward and they started to then I'd turn allies it and think that that's who they were and as I look into the past, they can see experiences as that, but what if there was also the potential for past experiences also been where you were very comfortable with people of that same person had very comfortable and confident times of their life when they were confident in public, very confident with around other people. You see the potentiality in the past exists right now for the person actually to experience what they want, but they're only focused on one data stream. There are only focused on one possible probable past. They all exist right now in the present moment. That's the cool thing to the present moment is all that exists. The past was another perception, another perspective of the now moment, but we have memory so we attain it in their memory and say, oh, this is who I was, and then the idea of the future, the future never actually gets here. The future is something we can project using our imagination. By the time the future gets here, it'll be this moment right now. All of the parallel realities that we can imagine exists right now in the present moment. They are simply vibrating at a different frequency. Therefore, we do not perceive of it until now, until now. Because we are. What we can learn to do now is we can learn to tap into the version of us that is in a completely different reality and we can begin to then draw upon the characteristics of that version of us. And if we do that, we then start to embody a whole new level of being and we start to then resonate with the kind of reality that we prefer. I have kind of a story that I've told them, a couple of parallel reality videos that I've done and it was a story of when I was in, I was in a car, I was just about, I forget exactly how long it's been now. It's been years though. It's this probably back in 2011, 2012 and I was driving in a certain lane here in Vegas and I was getting ready to make a left and a turn and ahead of me just a little bit. There was this huge semi-truck and as it was shifting into the left lane, which is lane I was in, it was shifting. All of a sudden, I knew it was going to hit me like it was obviously like it didn't know I was there as A. I had a smaller car at a huge semi-truck. It was shifting and as it was shifting, all the sudden I felt a big jolt and then I was real. I was like 20 feet behind that semi-truck. And it was weird because I couldn't piece together that gap between where I was to then where I was. The question I had, or this is before I even knew about the quantum physics stuff, this is before I even knew about all the chuffed I share my YouTube channel. I didn't even know about it yet, I. But I knew that something happened. I knew that from a higher level, some type of maybe my higher self, I don't know what it was, but I shifted from one reality to the other because in that reality I believe that semi-truck probably crushed me. But I experienced a quantum jump from one to the other. But it was more of an unconscious thing. It was more of something that maybe was done at a level that I wasn't consciously aware of. But nonetheless, I felt a jolt. I was then back and then the semi-truck was like 20 feet ahead of me and everything was good. And I remember just for like 20, 30 minutes, I was like, what the, what happened? I just didn't understand that. I just kind of accepted it. And then it just kind of went in the background. Then I learned about this stuff later and it all made more sense. Creating a quantum jump in our life is about resonating. It's about doing unconsciously, consciously by the way, that the story that I had just kind of proved to me that this is something that may be real. But now that I know what I know about parallel realities and kind of my own experiences with it, it makes it something that's more tangible for me. When it comes to the whole technique in general, the key to this is understanding that in the present moment right now, the version of you that is in a much different space than you right now, it already exists. There is a version of you that is doing exactly what you want to be doing for a living. Maybe you're already doing that. There's the version of you that is in the perfect relationship that isn't the perfect house, that is living the kind of lifestyle that you love. That version of you. It's not like, oh, it exists in the ethers. In the future, it exists right now and what you can begin to do is you can begin to imagine individualization. What you can do is you can imagine yourself connecting to that version of you. You can imagine yourself as if you're looking through the eyes of that version of you because as you begin to do that, what happens is you start to pick up on the same data stream as that version of you, meaning the same thoughts, emotions, and actions. You will begin to imagine what that is and you're going to begin to pick up on that frequency because it already exists and what you can then do is the technique behind this is to set that intention that that is who you choose to be now is to begin to embody those emotions and body, the body language of that version of you. This is something I've done many times because I imagine myself traveling the world, giving seminars all around the different cities. I imagine what I would look like on top of the state, on top of the stage, walking around how I would interact with other people. How I look into the crowd and how people would look and how excited they would be there, I would pay attention to what I would do when I was done with that go into maybe restaurants are going to do different things in the cities that I'm traveling to. I imagine the kind of people I'd be connecting to. You see, I imagine all of these different things. How I carry myself and I don't imagine it as if, oh, wouldn't it be nice if I more so imagine it as if knowing that that already exists and I don't have to try to create it all. I have to do body those emotions and as I embodied those emotions, things begin to change because as I embodied those emotions, things begin to resonate at a different frequency. I'll notice then that there's a different reflection that I start to get in my own life. Here's the thing though, I make the choice that that is who I am. I embody those emotions. I embody those characteristics. I know that the best thing I could do right now is to create more videos and do what I love doing because that puts me into a flow state just like I'll be in a flow state when I'm on stage, but then here's the key. Here's the thing that makes a big difference for the quantum jump. This is what is necessary. Put yourself in a situation or an environment you have never been in before because the way it works in the quantum world is that the moment that our brain begins to pick up on a pattern, it then begins to create a very similar experience over and over again, and that's why sometimes you may have of the beginner's luck. When someone does something and they do a really good job at it, but then maybe they try it again and again after that and they don't get the same results. Will they have no expectation when they tried something they've never done before because they had no expectation. They were able to get better results in some people that may have been doing it for a very long time, but then as they started to get used to those results, they started to gain an expectation because then it happened really well, but then they did it a couple more times, maybe whatever it was, it didn't happen as well, so then they assume and they start to develop a pattern that they didn't start to remain consistent. To think of it as data streams and patterns. We live in patterns. We live in a certain pattern of thought, motion action, and when we jump outside of that pattern, we start to create a quantum leap, a quantum jump, but what we must do is change our environment, change the data input of what we are experiencing and as we changed the data, input what we are, our environment, what we're constantly thinking, feeling and doing. Then we change what we are resonating with, but we have to drop that attachment to that data stream. We have to drop the attachment to the prior way of being, and the best way to do that is to get into a completely new situation, maybe even an uncomfortable situation because what's comfortable, what's familiar is only familiar because you've done it so many times, but when you do something you haven't done before, you start to branch out. This is something I learned from Dr. Joe Dispenza, is you cannot create miracles in the same habitual thinking. Our personality creates our personal reality. My personality is a combination of what we think, what we feel and what we do. These three things make our personality. These are all on autopilot. We think this is who I am, but really these are just on autopilot from years and years of prior repetitions and familiar thought patterns. These three things are personality is created by our what we think, what we feel and what we do. They'll personality creates our personal reality. If we want to create a greater degree of change between where we are and where we want to be, we must first off do something that gets outside of the autopilot mind. We must do something that is unfamiliar because then the brain can't sink into the same patterns as before. What I recommend you do is go to a completely new place, maybe go traveling somewhere, decided to do an activity you've never done before because as you do that, as you get more into the unknown, that's where you can create something much better. You cannot create anything amazing and what's familiar because there's too much repetition already there. There's too much potential for the thoughts to just go back to what's already comfortable. The technique is imagining yourself right now, looking through the eyes of the version of you that's living the best kind of life you can possibly imagine. Close your eyes even right now. What I encourage you to do is we're going to take in a couple of deep breaths and I encourage you to imagine yourself looking through the eyes of the version of you that already exists doing exactly what you want to be doing, and I'll just guide you along this process and still be like a short little mini meditation. Just take a couple minutes, so let's take a deep breath in and out. Free that out. One more breath in and out. Feel your body, relax. Close your eyes if you can imagine yourself and what you would be doing in the ideal reality of what you want to experience, the reality that already exists. Find one representation of what this could be. This could be you with a significant other content promotion at your job, switching to a new type of job, owning your own business, whatever it is. Imagine yourself doing it, looking through your own eyes. What would it look like and imagine a scenario that would prove to you that that is something that's happened? As you look around and you notice, be aware that this reality exists right now. This version of you exists and what you are doing right now is you are picking up on the data stream of that reality. What you can begin to do is to make the choice that going forward. This is who you are now. Pay attention to the way you carry yourself in this reality. Pay attention to the kind of emotions you feel, the kind of actions you take and simply choose that this is who you are now and what you can do is as you go throughout your day to day, simply know that you are going to get a reflection in your life before the end of the day today that proves to you that you have shifted to a completely different parallel reality and set the intention that you will feel inspired to do something new, to do something that you haven't done before to go somewhere you haven't been before. Set the intention that when you see whatever this thing is that you can make the choice to do it and that you will do it in a very confident way with courage and once you can do is then go throughout your day to day knowing you are who you choose to be in the present moment. Choosing that when an opportunity arises for you to do something you haven't done before, you will know and you will take that option. You will choose that now. Once again, remember this reality exists right now by imagine it in a body, the feeling, the feeling is the most important thing. Fuel it inside of your heart. Feel it. What would be like to be this version of you and shoes that going forward? This is who you are. This is really just a matter of choice. You can choose that this is who you are and then trust that as you start to do things outside of your familiar comfort zone, you start to create a quantum leap in your vibration. You start to develop a whole new pattern for a way of being. Choose that this is who you are. You can open your eyes. It was like a little mini meditation there. What you can do is just realize this really is a matter of choice and part of this choice is to do something you have not done before. Get out of what is familiar. It starts to become and be who you naturally are from the perspective of that version of you because there's an infinite number of versions of you that exists but notice that who you really are. It's the feeling inside of your heart. It's this feeling of passion and that version of you is feeling more passionate. You can embody it now by choice, by choosing to and by knowing that as you link up your body language, you link up and you start to literally model that version of you, that everything in your life begins to change. This whole process is something I found very powerful is something I've been applying to my own life. Kind of his mantra as well. I am not the result of my past. I am who I choose to be in the present moment. That helps me to drop the story of the past and it didn't create a quantum jump in the reality that I'm experiencing. So, I encourage you to get into the unknown courage, you to know that you are so much more than you probably thought that you can experience what you want more easily than ever when you make the choice to because you don't have to create it. It already exists. Choose it from that perspective. What I've also done is I've created a free guided meditation that will help you to raise your vibrational set point, which will make it more likely that you then shift to the more probable reality that you prefer. That's something that's absolutely free. I recommend you listen to it for 21 days. I think that it can absolutely change your life if you apply it.